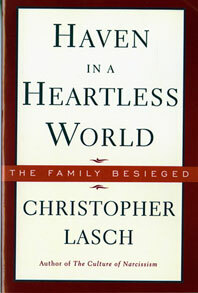 Haven in a Heartless World - Description | W. W. Norton & Company Ltd.
One of the earliest and sharpest cultural commentators to investigate the twentieth-century American family, Christopher Lasch argues in this book that as social science "experts" intrude more and more into our lives, the family's vital role as the moral and social cornerstone of society disintegrates—and, left unchecked, so does our political and personal freedom. 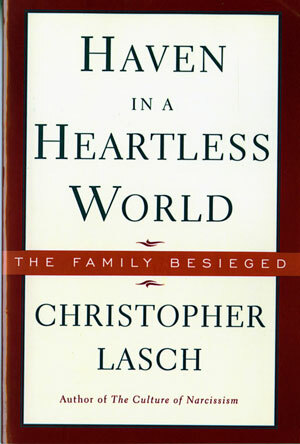 Mr. Lasch combines an analytic overview of the psychological and sociological literature on the American family with his own trenchant analysis of where the problem lies. The classic The New York Times bestseller, with a new introduction from much-lauded The Washington Post columnist E.J. Dionne Jr.